Build a winning employer brand. Tell your story — the engaging way. It all starts with positioning. Our team of experts works with you to develop an employer brand position that articulates why your organization is superior to your competition in the marketplace. Then, we begin to share engaging stories about your organization, specifically designed to attract the ideal candidate and paint a picture of what it's like to be a part of your winning team. Candidates do their homework. You should too. 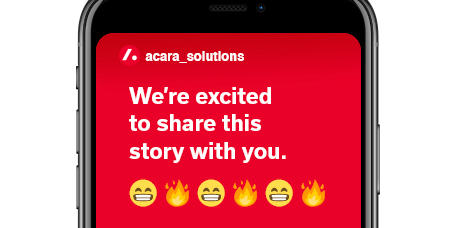 At Acara, we believe employer branding is all about connecting the best parts of your workplace culture with the needs and interests of your target candidates, and then building a strategy around promoting your organization’s mission and mantra through the lens of your own people. 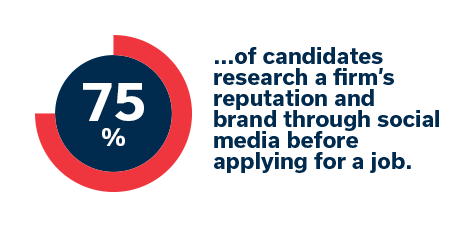 Our approach to employer branding uses authentic stories to connect with your target candidate in meaningful ways. Don’t worry about the content, we’ve got you covered. Once stories are collected and written and content is created, we get to work by sharing them on a variety of platforms that are in alignment with your company’s goals. Specifically, content is distributed through your company website, blog or careers site (and if you don’t have one, we can help with that, too); through social media platforms like Linkedin, Twitter, Facebook, and Instagram; via email marketing campaigns to potential candidates and recruits; and internally on your company’s intranet to promote your employer brand inside your organization. Tell us about your employer branding needs. Looking for employer branding resources?